Save Our Agriculture is a start-up based in Douala, Cameroon, that produces aquaponics kits. Aquaponics is the combination of aquaculture (fish farming) and hydroponics (growing plants without soil). The fish waste is pumped to the plants through the water they live in, acting as a natural fertiliser. In return, the plant then filters the water back down to the pool of fish. What makes aquaponics advantageous is its efficient use of water, space, fertiliser and land. Food can be grown in urban areas, eliminating the need for usual farming infrastructure, like land and equipment. Founded in 2015 by Cameroonians Flavien Kouatcha Simo and Leslie Noëlle Kepgang Tipa, Save Our Agriculture produces commercial and private use-sized kits. 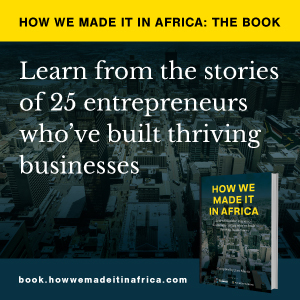 How we made it in Africa spoke to Simo about the aquaponics business. Our company conceives and makes urban aquaponics units to help small rural producers cope with logistics problems that make food overtly expensive in retail markets. Aquaponics is a technique that produces organic foods at two to three times higher yields, saving 90% of the water wasted in traditional agriculture and reducing by 20% the carbon footprint generated by agricultural activity. Our team of six intends to address a potential market of more than US$3bn in the central African target countries. 2. How did you finance your start-up? In Africa, fundraising mechanisms are quite restrictive. Since we are engaged in aquaponics, an area in which we are pioneering in francophone Africa, it was not easy to gain the confidence of financiers at the beginning. In addition to the $4,500 made available as a start-up launching capital by the founders, we carried out a ‘love funding’ operation and raised around $2,500 from family and friends who believed in our project. 3. If you were given $1m to invest in your company now, where would it go? The issue falls very well because our deployment plan foresees an internationalisation process in March 2017. On this occasion, we are targeting three markets whose characteristics are conducive to the development of our project, notably Senegal, Nigeria and Mauritania. If we received US$1m in funding today, we would allocate them to the following proportions: 44% for product research and development, 22% for human resources, 17% and 13% for marketing and sales, and 3% for supplies and consumables. Organic farming is not very widespread yet in Cameroon. Its products usually cost more because of the functional chain that allows their cultivation. At the launch of the project, we identified this risk that could prevent customers from consuming the product. To address it, we put in place a process to educate and raise awareness about the consumption of contaminated food, which is the cause of many deaths worldwide, according to the global report of food-borne diseases published by the World Health Organisation. Today, we have a need for finance to scale the business. In Africa, that’s not an easy challenge. To be precise, we estimate our financing requirement at $200,000, with a return on investment of 26 months. It’s a new day that we are opening up to African agriculture, we will change the lives of millions of people. 5. So far, what has proven to be your most successful form of marketing? Since our entry into the market in March 2016, our customers are our best ambassadors. We sold through direct channels, over the phone and on social networks. To this end, the conventional physical approach remains the most beneficial to date. However, we have recently received numerous requests for the installation of aquaponic units abroad, notably in Kenya, Ghana and the USA. We are therefore integrating pre-payment online solutions on our company’s website. The best time I ever experience in this adventure is when I see a customer’s smile or when we receive a message at the office, meaning that the service or product was satisfactory. Or at most, when we receive a new order from a previous consumer. 7. What has been the biggest mistake you have made in your start-up, and what have you learned from it? When we got into the market, we were focused on the product development without paying attention to consumers various segments. To date, we’ve realised that we need to be both interested in developing a product (innovation) and in maintaining a point of contact with pre-registered users (after-sales performance). From that experience, we’ve learned that the less people you are in a team, the more you need to be organised. Today, we’ve hired many other people, but our way is long – to reach the international success we’re targeting.